Our office is located inside First Christian Church (which is across from UTC’s Patten Chapel). Enter the parking lot from Campus Drive. Go in through the breezeway and take a right through the double doors. We will meet in the first room on the right. When: Dinner at 6pm. 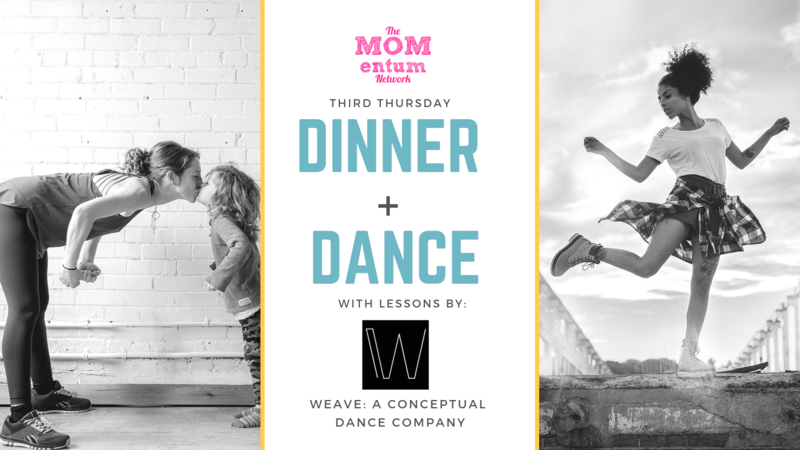 At 6:50 we will go together to WEAVE Dance Studio. Who: Single Moms (or pregnant moms) in college + their kids AND college friends, community of supporters. We will need a firm headcount by Wednesday prior to this event. Note: A photographer may be documenting this session, so your registration also serves as your consent to be photographed and images may be used in marketing and/or promotional material with full rights granted to The MOMentum Network. Each child must be registered by his/her own mom.